The official version of Chronos Gate shall be released in the following regions/countries on the 24th of May (Tue) at 6pm: Hong Kong, Malaysia, Singapore, Taiwan, Vietnam, Thailand, Indonesia, the Philippines, Australia, New Zealand, and Macau. Celebration events will start on the 25th of May. Chronos Gate shall be released ONLY in Hong Kong App Store and Google Play from the 19th of May (Thur) 6pm to the 23rd of May (Mon) 10pm for a non-wipe regional soft launch. The aim is to gather game data and run server trials. Game settings may be adjusted for the official release. Chapters 1 - 5 of the Main Story shall be available in the official release. 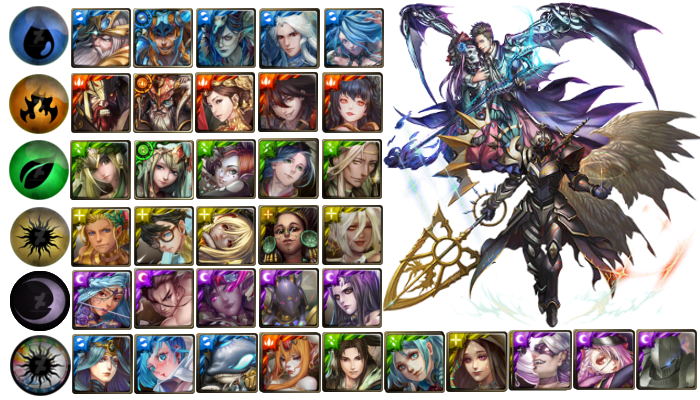 Two additional series, Shinto Gods and Fallen Angels, will be added to Timestone Summons. ❅All game data during soft launch, including Stage progress, acquired Heroes, Items, Inventory, Friends, Timestones, Coins, Rewards and Friends shall be kept in the official version. ❅All dates and times stated are Hong Kong Time (GMT +8). to celebrate that... will we get anything free and cool in TOS? A synergy would be nice but I dont expect that. Already playing. Getvthe APK at apkpure. It should be mentioned that the game can be changed to english in the options menu. So, if I understand it right, there are no battle rounds for the active skills and the way to skill it up is using a specific number of same name skill? Is posible to bind our accounts?